← Recommend a fire door closer? 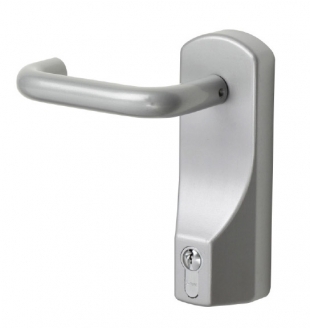 Doorstuff is delighted to announce the arrival of the Exidor 322EC lever operated outside access device in stock. You can buy online here, with discounts available for bulk purchases – see product page. This entry was posted in panic hardware and tagged 322ec, exidor, outside access device. Bookmark the permalink.